The origin of Reading Lionesses goes back to June 2015 when Reading Handball Club held trials for a women’s team. The turn-out was impressive and the fun we all had was even better. Marta Johansen, Barbara Flis and Malgorzata Niedbalo, all from Poland, were amongst the crowd. Andreea Szabo, from Romania also took up on the offer and attended. After a successful try-out session the ladies reunited for training sessions. Other players at training were Catarina Silva from Portugal, Nicoleta Nastase from Romania, Emese Racz from Hungary, Svenja Palmer from Germany and Milda Drungyte from Lithuania. Our first match was held at the Copper Box Arena and we were so excited! Even though we didn't know each other well, we gave a good showing and had so much fun. We really gelled as a team and nine months after we first met we were crowned Regional League South West Champions. 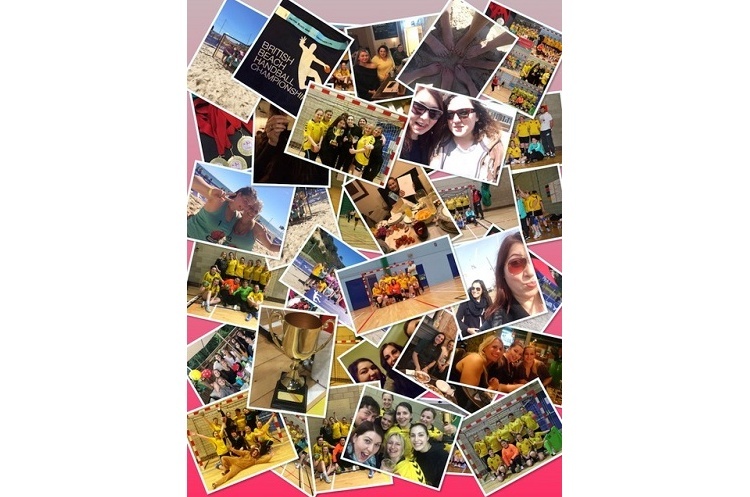 We also attended our first British Beach Handball Championship and made more memories! In our second season together we defended the title of Regional League South West Champions and won the League Cup. We welcomed Eva Sálková from the Czech Republic, Hannah Rutten from Germany, Alina Popescu from Romania and Jagoda Tul from Poland to the team. More recently Johanna Stendale and Fannie Grondon from France and Zsanett Nagy from Hungary and Vicky More from the UK have joined the Lionesses family. This season is our third one together and we couldn't imagine sharing a court with anyone else as team mates, but first and foremost as friends. We have celebrated birthdays and cried at losses and injuries together. We have confided in each other and have in-jokes that make us laugh ourselves silly. But most of all, we have all left our own homes, our own countries behind and set up home in UK. When one of us is home sick, we all know what that feels like. We are a multi-national team of women who are just awesome. Language barrier, what language barrier? Handball speaks for all of us. We wouldn't have crossed paths, let alone form life-long friendships if it wasn't for the love we all share for handball!